Many expats I meet in KL are currently very nervous and it is hardly surprising. There is no getting away from the fact that markets are going through a period of extreme volatility and the doom and gloom headlines which go hand in hand with that are creating an atmosphere of fear and worry. Yet when I ask people to be more specific about exactly what they are worried about they don’t have any detailed answer to give. They are not sure what investments they actually have in their portfolio and as a result they simply don’t know if they are over exposed to China or to the raw material sector for example. Ignorance in this situation is not bliss which is why I like to apply what I call the RAISE financial health check. This five point plan will help you work out if there are weak points in your portfolio and how you can address them. When I carry out this process with clients I find that some have portfolios which were badly constructed in the first place without due care taken to build a portfolio which is in line with their goals and risk tolerance. For others, their portfolios were well constructed but have failed to evolve as market conditions have changed, which they constantly do. In numerous other cases people are invested in the wrong asset sector entirely so it is not surprising that they are not performing. All these problems can be solved by active portfolio management. This is where professional investment managers who have experience and knowledge of the markets use their expertise, as well as in-depth research and forecasting, to constantly monitor your investments in order to outperform the market compared to specific benchmarks. They will review your portfolio on a regular basis, decide if changes need to be made to the asset allocation and buy or sell stocks in order to achieve the correct balance. The best managers have access to a constant stream of research data which enable them to react to changes in the market. Of course not all active managers are equal – there are those who select poor stocks and fail to outperform their benchmarks so you need to be selective, pick those funds with a consistent record of outperformance and preferably with an established manager at the helm. Our investment management partners, Tilney Bestinvest, make it easy by highlighting best of breed investment funds, as well as the dogs which have consistently failed to perform. 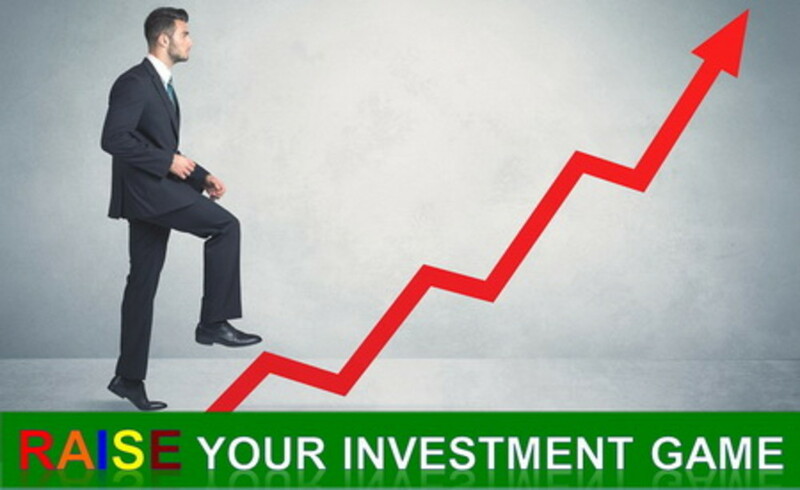 The result is that as an investor you can be sure that your portfolio is being actively managed by the best in the business. If you have concerns about your investments, why not perform the RAISE health check on your portfolio now? If you’d like some guidance in your financial planning, I’d be more than happy to go through it with you and determine what action you need to take in order to put your mind at rest that your investments are in the best shape they can be, even in the volatile markets we are currently experiencing.